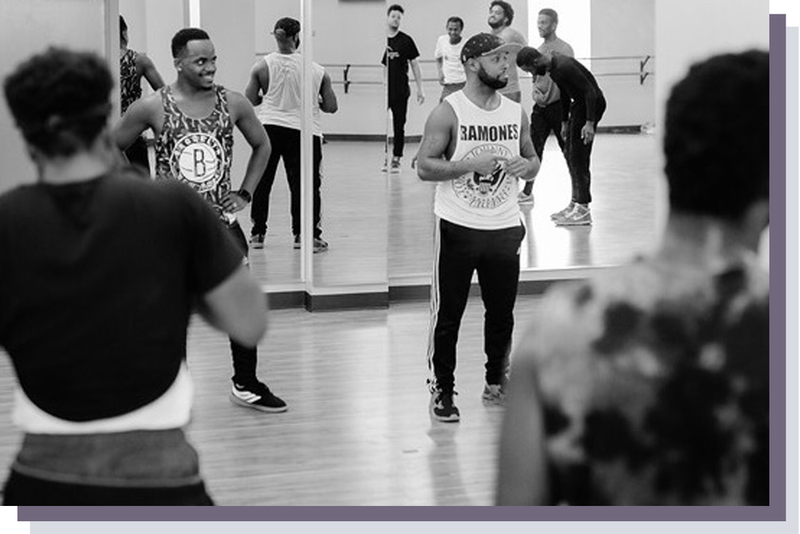 Black Men Moving (BMM) is an initiative [p]that explores identity, agency, and social responsibility through movement with self-identified black boys and men. BMM works to create safe spaces for black boys and men to explore self-empowerment and creative citizenship. 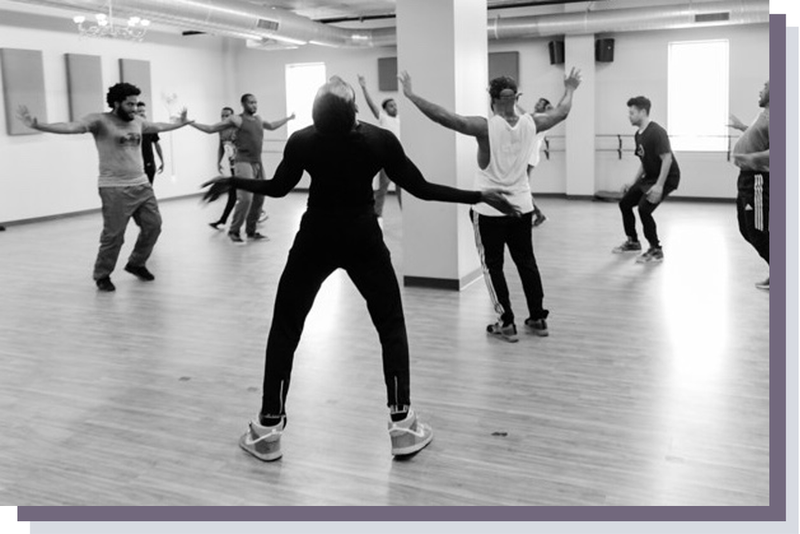 The initiative amplifies the cultural and creative empowerment of participants through dance, dialogue, and public events. The men of CABD are interested in forming personal relationships with all participants and creating safe spaces for bodies to move freely with no inhibitions. 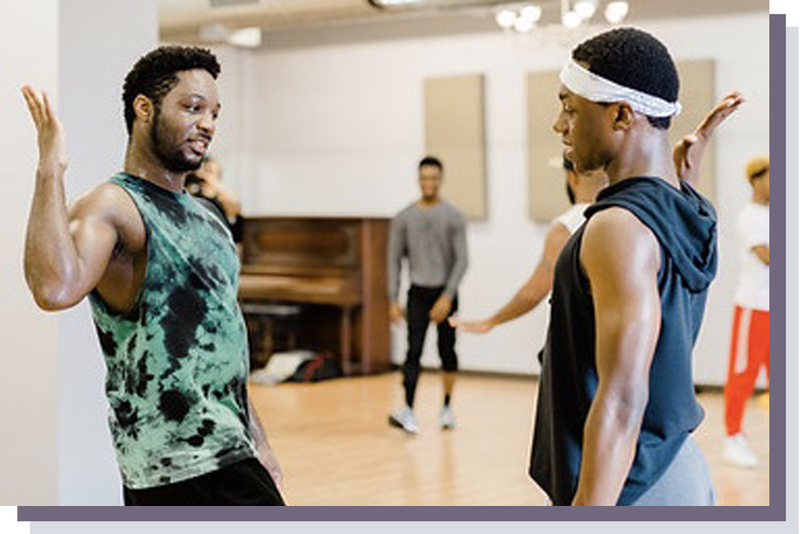 Using material from Camille A. Brown’s “Turf”- a section from The Company’s latest work, ink, the CABD men seek to inspire, engage, energize communities through movement. They hope their personal connections to Turf and the world at large will inspire participants to create and share their own stories in the space. How do we write our own narratives with our bodies? How do we use our bodies to communicate? How does everyday gestures become movement? What are our natural mannerisms? What does it mean to move through the world freely? How do we release stress? How do we help and protect each other? What does it mean to have brotherhood?